Our guide to the Royal Ascot 2013 Dress Code for ladies and gentlemen in both The Grandstand and the Royal Enclosure. The name Royal Ascot is more than just a name, this is the favourite event of none other than her majesty the Queen and with the Royal family regularly in attendance, the dress code at Royal Ascot is in keeping with the majesty of the event; as is the Royal Ascot hospitality. The 2013 Royal Ascot dress code is of particularly high standards. Changes to this year’s Royal Ascot dress code include the omissions of cravats for men and the restriction of fascinators from the Royal Enclosure for ladies. This is by no means a detraction from Ascot’s vibrant social atmosphere, indeed the elegant summer dress code adds an air of occasion that is well enjoyed with a summer tipple and a flutter on the horses. Any Ladies eager to don a large fancy hat will be delighted to know that this is actually compulsory in the Royal Enclosure. Ladies are encouraged to dress for a formal occasion with a hat headpiece or fascinator to be worn at all times. Strapless or sheer strap dresses and tops are forbidden and midriffs must be covered. No shorts, trousers should be full length. Dresses should be just above the knee or longer. Gentlemen in the Grandstand are required to wear a suit with a shirt and tie. Ladies are required to wear formal day wear and may wear a formal day dress skirt or top. Dresses or skirts should fall just above the knee or lower and the straps on dresses and tops should be no narrower than one inch in width. Strapless tops are not permitted and midriffs must be covered. Jackets and pashminas are permitted providing clothing underneath complies with the Royal Enclosure Dress Code. Trouser suits are accepted but must be full length and of matching material and colour. Hats should be worn, although a headpiece with a base of at least 4 inches in diameter is an acceptable alternative. Fascinators are not permitted in this year’s dress code for the Royal Enclosure. Gentlemen are required to wear either black or grey morning dress including a waistcoat and tie with a top hat and black shoes. Cravats are not permitted. Top hats must be black or grey and may be removed in indoor or seated areas but may not be customised with coloured ribbons or bands. Ladies attending this year’s Ascot or any other glamorous event will be aware that a designer fascinator can be exceedingly expensive. 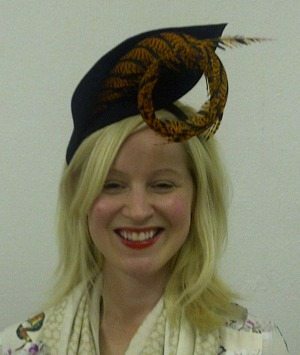 Or British Couture Millinery Events provide the opportunity create your own with the help of expert designers. This is a wonderful activity for a corporate day out or team building event, complete with a champagne and canape welcome. To cap it off your completed fascinator is your’s to keep.